With constant season changes and heavy rains followed by severe drought, your foundations and walls will begin to crack. Combine this with the fact that your roof is exposed to the sun from morning until dusk, and over time, it can become extremely brittle, you’ll find that the slightest movement can result in roof leaks. Even if you’re maintaining your roof properly, your roof will eventually reach the end of its lifespan and start deteriorating. Once your roof begins to deteriorate, leaks may begin to form. Repair for a leaking roof with patches or traditional materials may leave you open to additional damage, especially if the repair is done quickly and inefficiently. Worse, a leaking roof can be a sign that your roof is deteriorated. If that’s the case, a roof replacement is in your future, and repairs won’t extend the life of your roof indefinitely. In the first case, it’s unlikely that you can continue small repairs to your roof, and replacing your roof with traditional materials can not only be costly but can also require you to vacate the building while your old roof is removed and replaced. 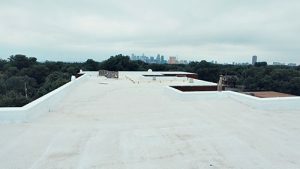 Repair with traditional roofing materials is often a patch on a deeper problem, and while you may be able to stop the first leak you notice, your roof may contain many weakened areas that will develop into leaks over time (or during the first major thunderstorm or hail storm of the season). If your roof has been damaged by high winds or hail, repairing the damage, though it will likely fix your leak, won’t protect you moving forward. Your roof will still be vulnerable to the next storm. Replacing your roof, or applying a new SPF system on top of your existing roof (which is often not a problem) can avoid many of these issues. 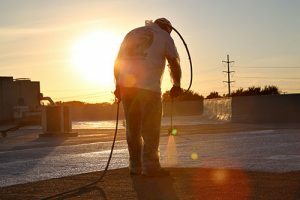 Here in Texas, damage to your roof might last a while without causing any trouble, especially during the hot, dry months. However, as soon as a storm hits (and dumps a month’s worth of rain in a few hours), that damage or leak can turn into a serious liability. And, depending on how much water actually enters your building, and depending on the composition of your building’s interior, you may not even know you have a leak for days, weeks, or even longer. By the time the water is noticeable, a great deal of damage may have already been done. Unfortunately, if you have a leaking roof, repair with traditional materials is often an impermanent fix or a patch on a deeper problem. Spray polyurethane foam has a variety of advantages, especially here in Texas. 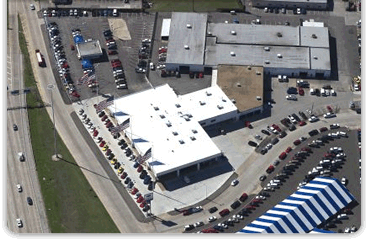 First, certain SPF roofing systems are able to withstand high winds and hail damage. Replacing your old roof with an SPF roofing system lets you worry less about the next major storm. The alternative is to repair your roof with traditional materials and wait for the next storm to cause new damage and fresh leaks. Second, if you need a new roof, you may be able to avoid a costly roof removal. 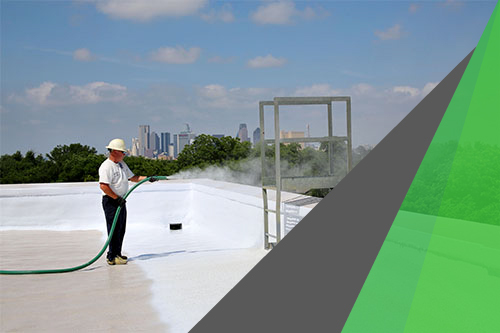 In some cases, we can apply an SPF roofing system directly to your existing roof, providing you with a totally seamless roofing system. This stops any roof leaks and allows you to rest easy when the spring rains come! Third, and perhaps most importantly, SPF has superior insulative properties. Combine this with a variety of light-reflecting coatings, and an SPF roof can keep the exterior and interior of your building cool during the warm months and warm during the cool months. We’ve found that, for a single story building, many SPF roofing systems provide average HVAC savings of around 30% or more a month. Click the link below to get a free estimate and learn how you can fortify your leaking roof, feel more secure during storm season, and save money on your heating and cooling bills in the process.